This is the 3rd Edition of the book explaining about Success of any organization depends on the effectiveness of communication with the target audience. Therefore, companies are constantly looking for new ways to reach the customers. 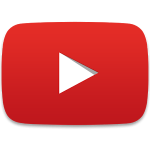 This has resulted in fierce competition among the brands with greater emphasis on advertising and promotion tools. This book deals individually with various communication tools as well as how they could be combined to get optimum results. Integration is the key to success. The major factors affecting the sale of a product are advertising, sales promotion, direct marketing, public relations, personal selling, internet and event management. Equal importance has been given to each of these factors in this book. There are 25 chapters in this book which have been organised into Six sections. The first section elaborates the concept of advertising, marketing process and the role of ad agencies. The second section highlights the purpose of communication, various aspects of creativity and tactics for print advertisement. Media planning and various types of media have been discussed in the third section. The fourth section comprises of six chapters elaborating the concept of direct marketing, sales promotion, event management, web advertising, etc. 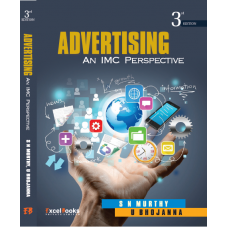 The three chapters under fifth section describe implications of advertising and regulation of advertisement. Four chapters of sixth section deal with industrial and international advertising and merchandising along with advertising art, graphics, layout and visualization. Throughout the text, current advertisement examples on important issues are presented. 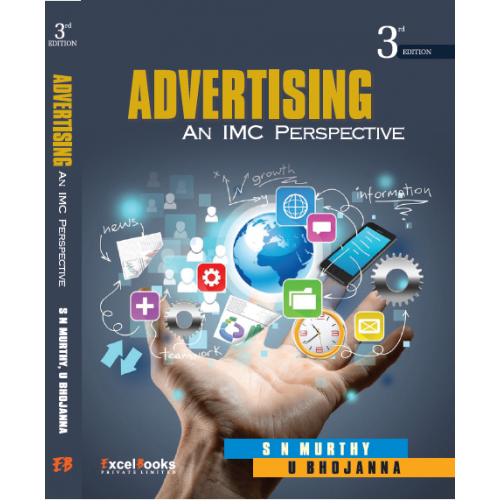 This book would help the readers to understand the different aspects of advertising in a better way.